I’ve partnered with my friends at Baby Gourmet for this post! As always, my opinions are my own! 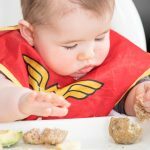 As parents of little ones, we all know that feeding babies can be fun, messy and maybe a little nerve wracking in the beginning… there are so many conflicting messages out there about what, when and how to start solids. No doubt you’ve heard “you should start early–at 4 months” or “you’ve got to wait until 6 months” or “you should start with purees and then gradually feed lumpier textures” or “finger foods only–purees aren’t good anymore”. Gah! It’s confusing! Well, I will put your mind at ease right from the get-go–there’s no “right” way to start solids. 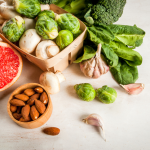 There are guidelines and suggestions and certain nutrients. And I have no doubt that you’ve received unsolicited advice from your friends, family and random people who feel the need to impart their feeding wisdom… They mean well, but it can add to the confusion and create stress that is unnecessary. 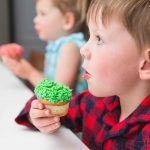 As a pediatric registered dietitian and mom of 3, I’ve got your back, and I’m here to give you the facts, based on the newest feeding guidelines and science. 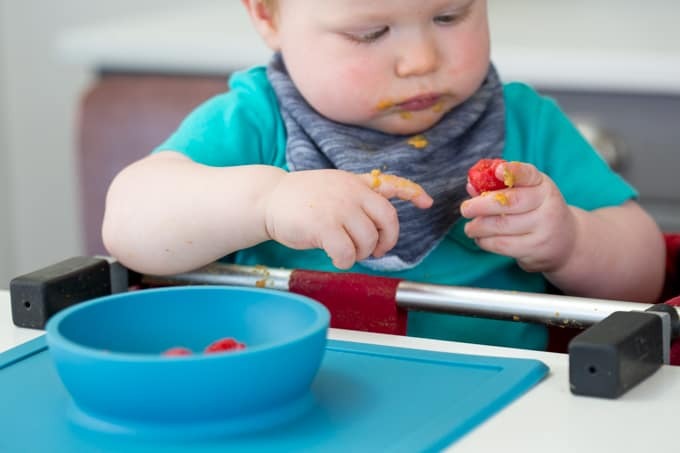 Babies should be introduced to solids around 6 months of age, when they’re developmentally ready, and are eager to dive into the wonderful world of solid foods. This is also when babies’ iron stores that they built up in the womb are depleted, so iron-rich foods like meat, poultry, fish, eggs, beans and lentils, or iron-fortified infant cereal should be offered at least twice a day to meet their needs. 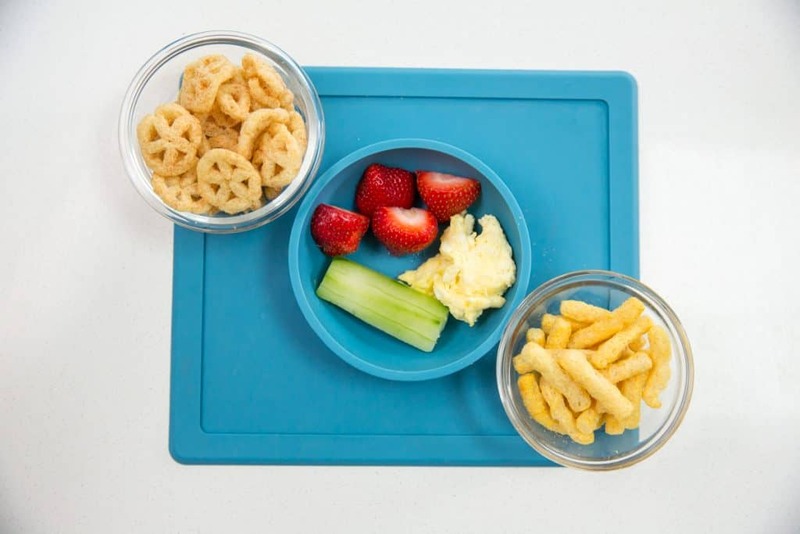 Finger foods that are safe and nutritious for babies are things like meat, poultry, fish, eggs, beans and lentils, soft cooked vegetables, soft fruit, whole grain foods, and cheese. 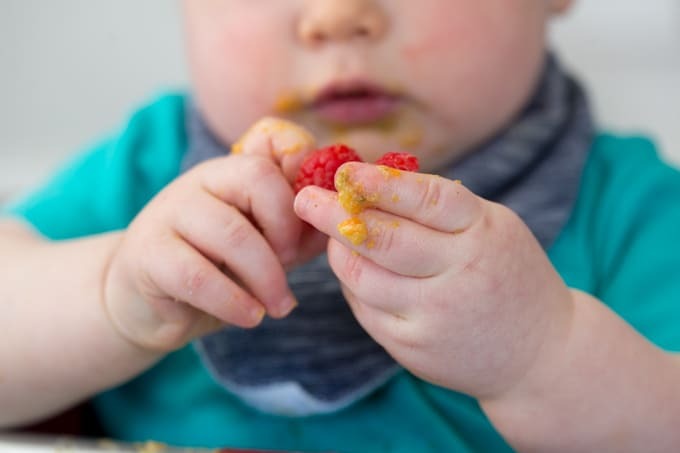 If you’re comfortable with it, you can do “baby-led weaning” which essentially means that you skip purees and go straight to soft and safe finger foods (and baby self-feeding). But it’s also ok to do a combination of spoon feeding and self-feeding if you’re more comfortable with that. Again, there’s no one “right” way. 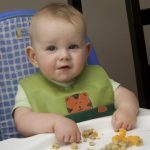 Read more here, here, here and here about starting solids and baby-led weaning. 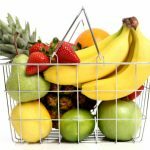 But it is important to always let baby lead (in terms of how much and how fast they eat), and to choose real, unprocessed foods the majority of the time–we want them to develop a palate for, and become really familiar with the feel, taste, and texture of a nice variety of real whole foods like fruits, vegetables, meats, legumes, and whole grains. But, life happens, and sometimes we need something really convenient and easy for when we’re on the go (or let’s be honest–when attempting to make dinner without losing your mind). Enter: baby snack food. Now, I’m not a huge fan of the baby snacking selections out there. Typically what you find down the baby aisle are packaged finger food snacks that are made primarily with rice and contain little to no nutrition. Trust me–most of these are super unimpressive nutrition-wise. And because our babies’ tummies are so small (nut nutrient needs high), we need to be picky when choosing these convenience foods. This is why I’m so thrilled that Baby Gourmet has JUST come out with 100% high quality plant-based chickpea and lentil snacks (no rice or weird ingredients here) that are perfect for babies right from 6 months of age. 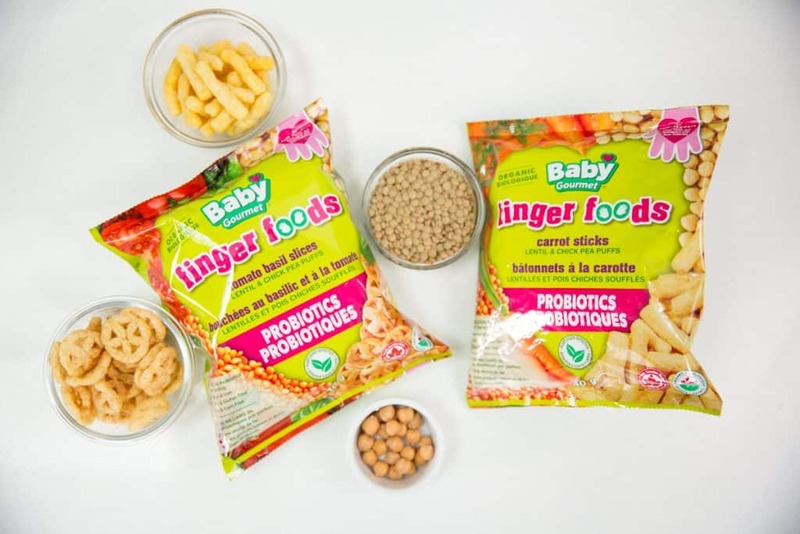 I’ve partnered with this amazing company for a reason–they’re breaking ground when it comes to finger food snacks for babies and toddlers and I’ve had the pleasure of being a part of the innovation. Most of you know how much I love lentils, so you can imagine my excitement about the fact that these are made with only lentils and chickpeas. There’s both a carrot stick, and a tomato slice with basil that make for a great addition to a meal or a great snack while on the go. They’re perfect for babies who are learning to self-feed AND they offer nutrition like protein, fibre, iron and even probiotics! 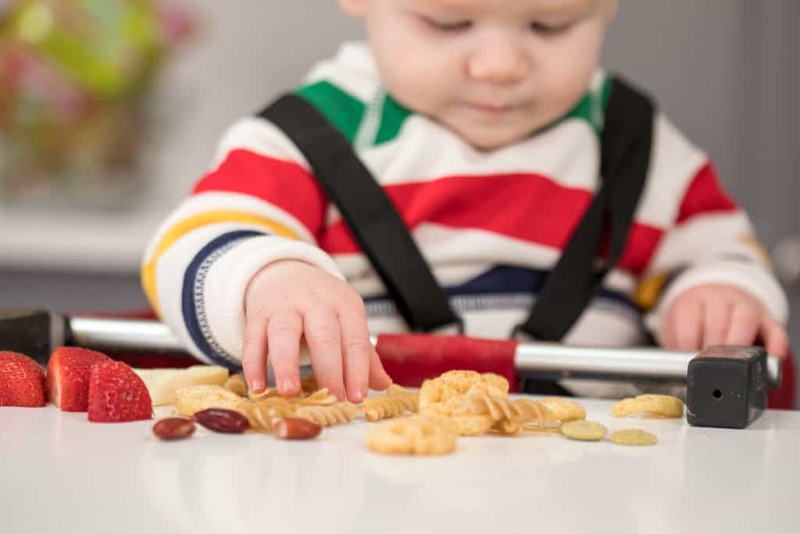 Bottom line is this: babies need to be exposed to a variety of foods, tastes, and textures within the first few months of starting solids–including soft, safe finger foods. It’s safe to allow your healthy baby to self-feed right from six months (and there are many benefits to this!) and it’s important to include baby in family meals. No matter how you’re feeding your baby (or allowing them to self-feed), it’s important that ALL feeding is baby-led, meaning that you follow their cues, letting them lead and letting them be in charge of how much they eat, and at what pace they eat. Focus primarily on real, whole unprocessed foods, and when it comes to convenience baby foods, be really selective. Read ingredients lists and compare different products, looking for quality whole-food nutritious ingredients that you recognize. If you want to learn more about baby-led weaning and why you might want to consider it, check out this blog post. And if you’re worried about choking and baby-led weaning, check this one out! These are some great tips. I’ll have to pass them along! Thanks for sharing this helpful information. 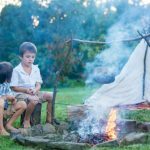 I’m sure most people can take notes from this article. One thing most people lack experience in choosing finger food for baby. Naturally baby not like feeding this why it is important to choose the perfect finger food for feeding. Well, this post gives us some good ideas to choose the perfect finger food for feeding.